Circular, approximately 8cm diameter x 2 cm high. 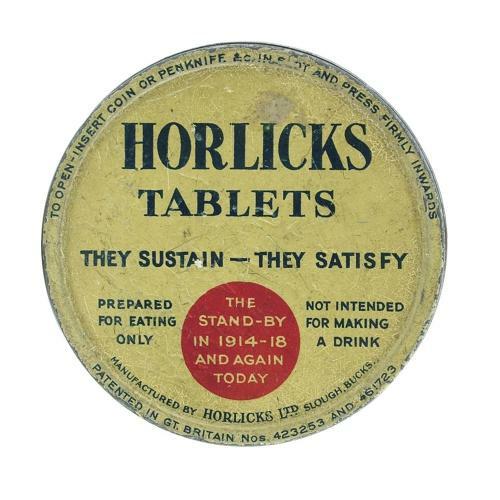 An unsusual and rarer early pattern of the Horlicks ration tin. Marked on the lid 'The Stand-By In 1914-18 And Again Today' implying an early WW2 production date. A bit soiled with some wear and scratches but generally sound. Stock code M23357.